Martin S. Indyk is distinguished fellow at the Council on Foreign Relations. Previously, he was the John C. Whitehead Distinguished Fellow in International Diplomacy in the Foreign Policy program at the Brookings Institution. From February 2015 to March 2018, he served as executive vice president of Brookings. Indyk served as the U.S. special envoy for the Israeli-Palestinian negotiations from July 2013 to June 2014. Prior to his time as special envoy, he was vice president and director of the Foreign Policy program and a senior fellow and the founding director of the Center for Middle East Policy at Brookings. Indyk served as U.S. ambassador to Israel from 1995 to 1997 and again from 2000 to 2001. He also served as special assistant to President Bill Clinton and senior director for Near East and South Asian affairs at the National Security Council (1993–95) and as assistant secretary of state for Near Eastern affairs in the U.S. Department of State (1997–2000). Before entering government, Indyk was founding executive director of the Washington Institute for Near East Policy for eight years. He serves on the boards of the Lowy Institute for International Policy in Australia, the Institute for National Security Studies in Israel, and the Aspen Institute’s Middle East Investment Initiative. Indyk also serves as a member of the advisory boards of the Israel Democracy Institute and America Abroad Media. Indyk is the author of Innocent Abroad: An Intimate Account of American Peace Diplomacy in the Middle East" (Simon and Schuster, 2009) and the co-author of Bending History: Barack Obama’s Foreign Policy with Michael O’Hanlon and Kenneth Lieberthal (Brookings Institution Press, 2012). He is currently completing a book tentatively titled Henry Kissinger and the Art of the Middle East Deal to be published by A.A.Knopf in 2019. 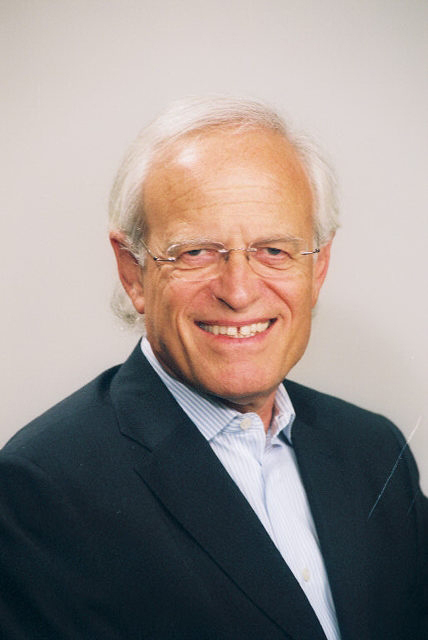 Indyk received a bachelor’s degree in economics from the University of Sydney and a doctorate in international relations from the Australian National University. Secretary of State John Kerry is launching new Mideast shuttle diplomacy, but President Obama’s commitment to brokering an Israeli-Palestinian peace agreement remains to be seen, says expert Martin Indyk. A Shift in Israel-Hamas Relations? The prisoner exchange between Israel and Hamas could indicate a shift in Hamas’ willingness to deal with Israel, but the release of convicted terrorists could also mean renewed violence, says former U.S. ambassador to Israel Martin Indyk. Bin Laden Peace Dividend for Middle East? Osama bin Laden’s death has given the United States greater credibility in the Middle East, which President Obama can use to broadly frame an approach to Israeli-Palestinian peace within the context of the Arab Spring uprisings, says Middle East expert Martin Indyk. Martin Indyk, a former U.S. ambassador to Israel, says it’s unlikely that the first meeting between President Obama and Israeli Prime Minister Benjamin Netanyahu will lead to sharp disagreements but notes Netanyahu may have trouble reconciling calls for a two-state solution with opposition from his political base. Martin S. Indyk, a former U.S. ambassador to Israel, says incoming President Barack Obama cannot solve the problems in the Gaza Strip unless he takes a broad approach that includes diplomacy with Iran and Syria. Martin S. Indyk, the former U.S. ambassador to Israel, discusses the new leader of the country’s ruling Kadima party, Tzipi Livni. Martin S. Indyk, who served as ambassador to Israel in the Clinton presidency and advises Sen. Hillary Clinton’s campaign, says it’s crucial for President Bush and Secretary of State Rice to become more involved in sealing a Palestinian-Israeli peace deal. Martin S. Indyk, a Mideast expert and former diplomat, expresses disappointment at the lack of specifics in President Bush’s comments at the Annapolis conference. A leading Mideast expert, Martin S. Indyk, says Israeli troops are likely to enter Gaza to end Hamas-directed rocket attacks, with the hope of yielding to international peacekeepers.